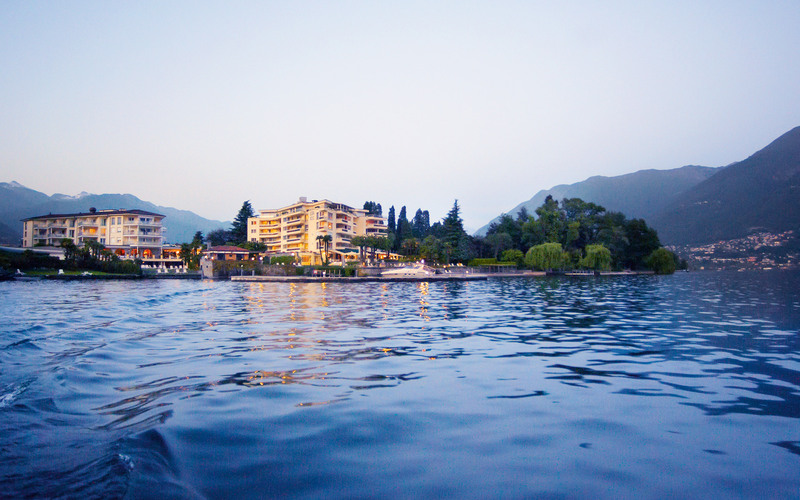 Here, inspiration has been drawn from the colours and materials of the surrounding area: mosaic wall tiles shimmer in shades of blue and grey, reflecting the colours of the Lago Maggiore, whilst the treatment rooms pick up on Ticino flora. 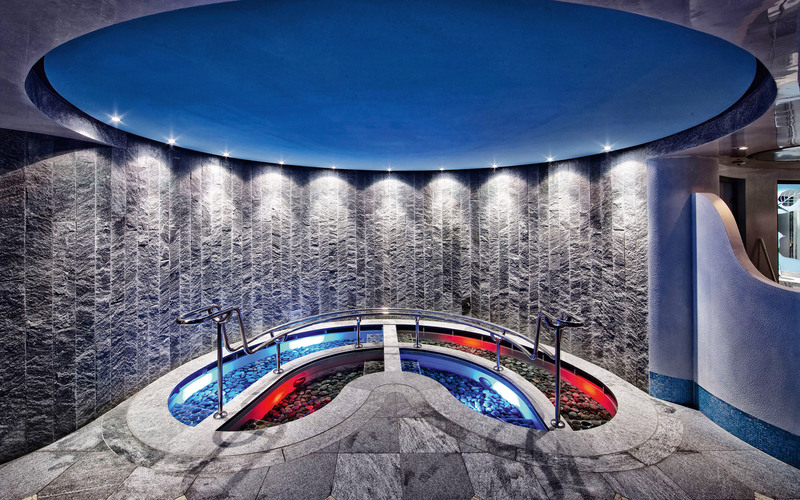 “Valle Maggia”, natural stone from Ticino, has been deployed throughout the entire spa area. Total area: 2000m². 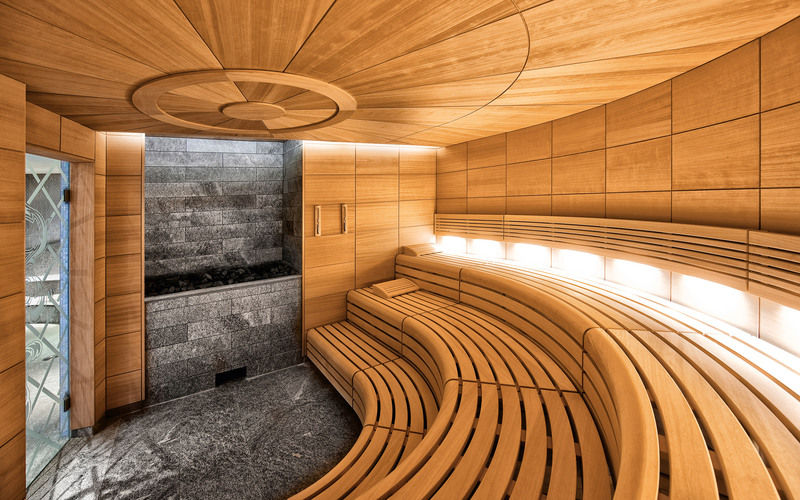 Sauna area: sauna, SANARIUM®, steam bath, two shower areas, ice fountain and heated bench with thermal foot basin. 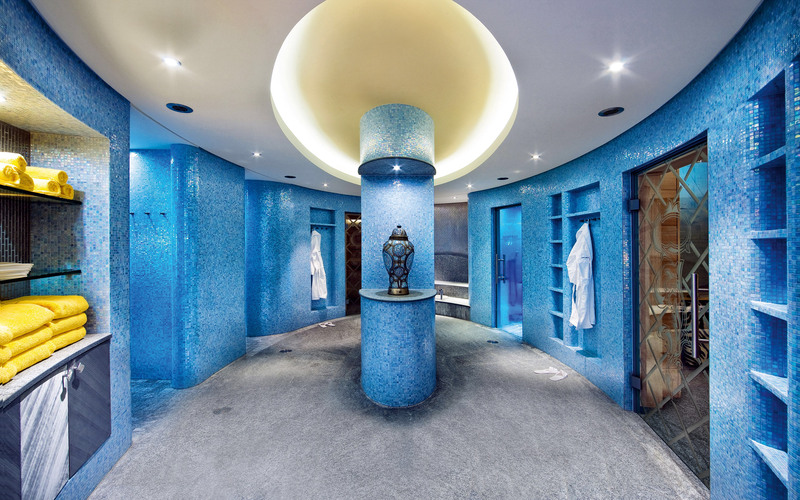 Ladies’ only spa: SANARIUM®, steam bath, snail showers and relaxation area. Treatment area with seven rooms for beauty treatments and massages; one room features a SANOSPA massage bath. 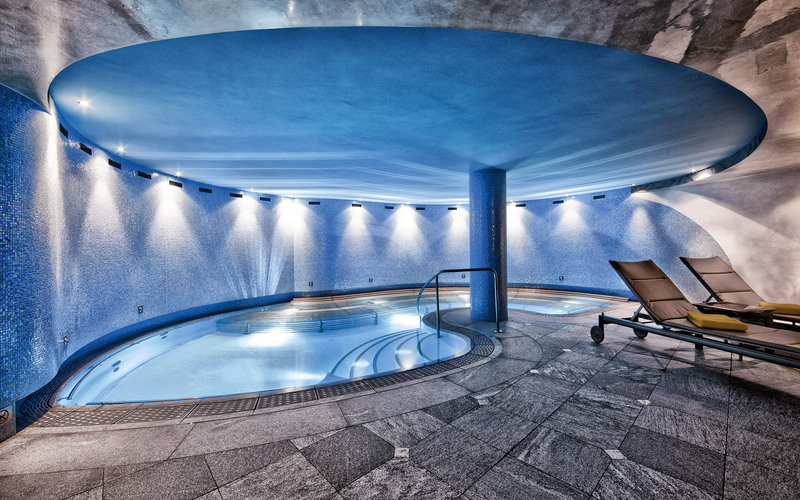 Water area: indoor and outdoor pool, hydropool with eight jacuzzi beds and Kneipp basins. Gym. Hairdresser. As general contractor for interior design and fittings, KLAFS collaborated closely with interior designer Carlo Rampazzi as well as with the owners of the hotel, the Kipp-Bechtolsheimer family. The result was four new “oases” of relaxation spread over the two buildings which make up Eden Roc and are connected via a special spa walkway. Guests can now relax and enjoy a wonderfully harmonious spa experience.